August 1943, at the height of the Holocaust, Ethiopian Jewish leaders approached the Emperor Haile Selassie of Ethiopia with a daring proposal. They asked him to help Jews in Europe flee to Ethiopia and assist Jewish refugees by hosting them in Ethiopian Jewish villages. Discussions were ongoing in Addis Ababa where the emperor, who had returned to Ethiopia in May 1941 after it was liberated from Italy with British help, was showing support for the plan. 1,500 Greek refugees, among them Greek Jews, had arrived in Ethiopia in 1943, the article says. Selassie had stayed at the King David Hotel in Jerusalem in 1936 and was familiar with the Jewish minority in his country. He also worked closely with Orde Wingate, the British officer who was a passionate Zionist and who led the Gideon Force, which defeated the Italian fascist army in Ethiopia. 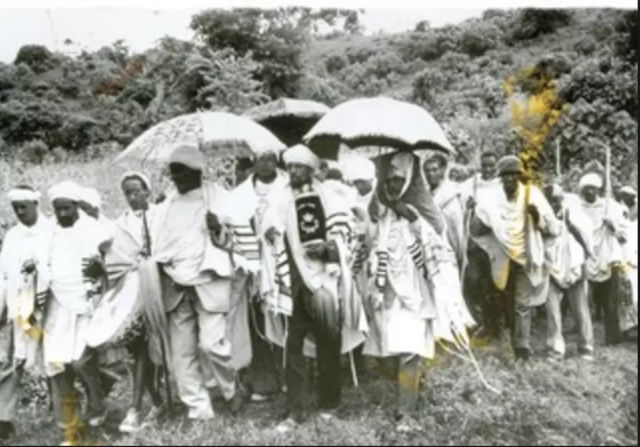 Ethiopian leaders and the Ethiopian Jewish community were therefore familiar with the local Jewish community and the plight of Jews worldwide at the time. While Ethiopian Jews suffered under the Italian occupation, by 1943 they were able to reach out to the emperor to suggest hosting Jews fleeing Europe. By that time it was too late for many of the Jews of Europe ensnared in the Nazi noose.